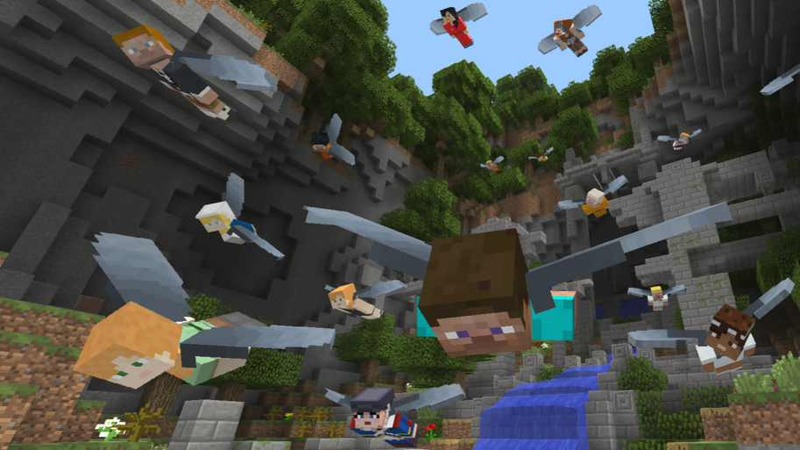 Minecraft Glide Mini Game for PS4 and Xbox One is coming tomorrow. The new mini-game is designed to test players aeronautical skills. The mini-game includes features like the Time Attack mode, using thermal drafts and speed boosters to your advantage, or go for points in Score Attack by hitting all the hoops. You can also play pit solo as well as with other players online on Xbox One and PS4. In the Score Attack mode, you get to choose between different routes marked by rings – the level of difficulty and point value indicated by their color and decreasing size: green for easy, yellow for middling, blue for hard. The new update also boosts the number of PS4 and Xbox One players possible in both Glide and Battle up to 16, and all platforms get a more spacious lobby, too. The new Minecraft Glide Mini Game for PS4 and Xbox One will be release on March 28, 2017.